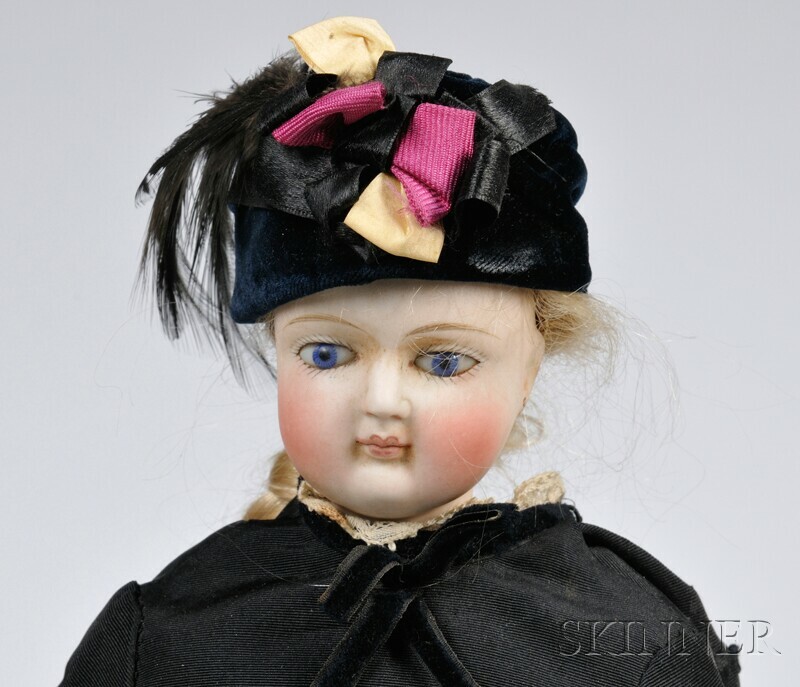 Bisque Head Swivel Neck Lady Doll with Trunk, Clothing, and a Tea Set, France, late 19th century, lady doll with closed mouth, cobalt eyes, original blonde mohair wig, cloth body, china hands, black faille two-piece dress and hat, numerous undergarments, extra skirts, cape, silvered tea set, small leather-covered trunk with tray, doll ht. 14 in. Shoulder plate has several cracks, piece broken out in back, head soiled but intact. One shoe missing.